People involved in the Irish horse racing industry have been urged to increase their vigilance following an outbreak of Equine Flu at trainer Donald McCain's yard in England. Dr Lynn Hillyer, Chief Veterinary Officer at the Irish Horseracing Regulatory Board, appealed for trainers and their vets to be aware of the outbreak, which has led to the cancellation of all horse racing in the UK today. 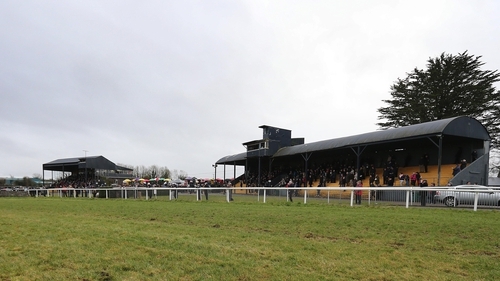 This afternoon's only Irish meeting, at Thurles, is going ahead as normal. Speaking on RTÉ's News at One she said it is important "we maintain a sense of proportion" and keep racing if we can. However, she said the IHRB would monitor any change to the situation. Dr Hillyer called for increase vigilance across racing yards, advising people to seek veterinary advice if they have any concerns. Horse Racing Ireland and the Irish Horseracing Regulatory Board released a joint-statement confirming that racing "will continue in Ireland at present" following the suspension of racing in Britain. However, the statement added that runners from Britain would not be permitted to race in Ireland until further notice. In the wake of last night's announcement of the flu outbreak, all of Thursday's meetings in the UK, at Ffos Las, Doncaster, Huntingdon and Chelmsford, were cancelled. Following consultations between the IHRB board, the Veterinary Committee, HRI and the Irish Equine Centre overnight the belief is that the risk to disease in thoroughbreds in Ireland has not changed. The BHA warned yesterday that horses from McCain's yard in Chesire raced at Ayr and Ludlow on Wednesday, exposing other animals, including some from Irish yards to the risk of infection. The IHRB said that timely communication from the BHA had enabled the Irish authorities to advise Irish trainers with runners at Ayr and Ludlow to take "appropriate steps to isolate the horses before they returned into their yards" so as to prevent the spread of the disease in Ireland. Horse Racing Ireland CEO Brian Kavanagh says there's no reason for racing not to continue in Ireland but advises trainers to be vigilant. "We're lucky in that any Irish horses that raced in the UK yesterday, we were able to get them quickly enough to be able to isolate them from the rest of their herd," Kavanagh told RTÉ Sport. "So, they've been isolated by their trainers and we'll monitor what goes on in the UK. It's a concern but it's a precaution at this stage. "We're delighted to be able to continue racing and the objective is to keep the show on the road as normal as possible." Leading Irish trainer Gordon Elliott had horses running at Ayr and has confirmed in his blog with Betfair.com that the horses in question are currently quarantined in an isolation yard which is a 25-minute journey from his training base in Meath. The high profile trainer - who claimed the most wins at the 2018 Cheltenham festival and whose horses won Grand Nationals in both Ireland and England last year - stressed that he'd been told that the likelihood his runners at Ayr were affected was "very remote" but added that precautions must be taken. "The horses we ran at Ayr yesterday never came back to our yard and instead went to a non-racing isolation yard that is about 25 minutes away from where we are based. "We've been told that the chances of this affecting our runners from yesterday is very remote but we can't take any chances whatsoever and those horses that went to Ayr will be quarantined as long as they have to be. "Hopefully everything will get back to normal in Britain as quickly as possible but from our point of view it's business as usual and we're sending seven horses to Thurles today." Following the British Horseracing Authority’s announcement that racing is suspended in Britain because of equine influenza and consultation with the IHRB Board, Veterinary Committee, Irish Equine Centre and HRI overnight, the IHRB confirm these decisions in the context that at present within Ireland the disease risk status in racing Thoroughbreds has not yet changed. The BHA’s rapid communication last night enabled the IHRB to contact and advise those trainers who had runners at Ayr and Ludlow yesterday to take appropriate steps to isolate the horses before they returned into their yards and so minimize the potential risk of further spread of the disease in Ireland. We have been aware of a small number of isolated cases of equine influenza in Ireland over the last couple of weeks as per our advice issued on 19th January. As an interim precaution, the IHRB and HRI have decided that runners from Britain will not be permitted to run in Ireland in an effort to reduce the risk of further spread of the disease via horse movement.Horses will continue to be able to race across the north/south of the island of Ireland. This situation is being closely monitored in consultation with the Department of Agriculture, Food and Marine. Horses in training are required to be vaccinated for equine influenza in Ireland under the Rules of Racing. Symptoms to be aware of range from an increased temperature, coughing and nasal discharge and the horse being off feed to more severe respiratory signs – your veterinary surgeon should be contacted for advice under current circumstances if these signs are present.